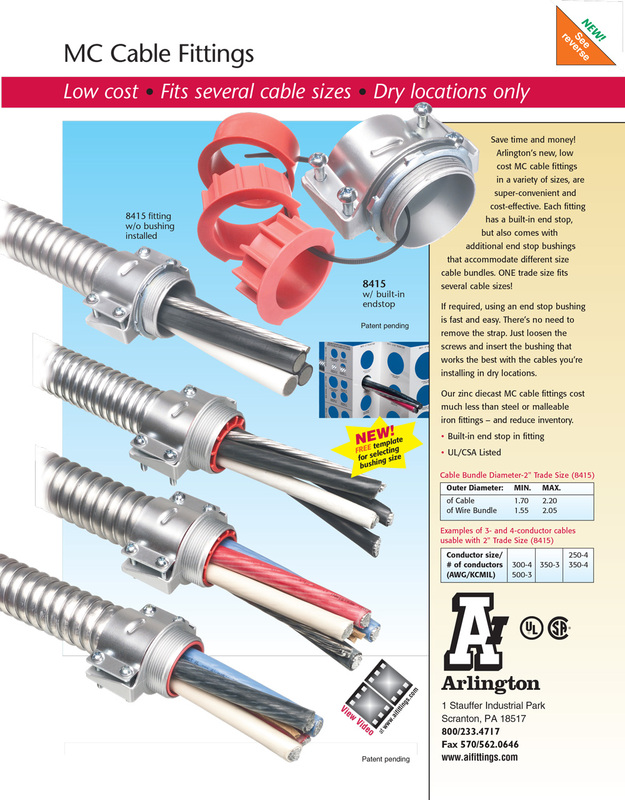 Arlington's low cost MC cable fittings are available in a variety of sizes and are super-convenient and cost-effective. 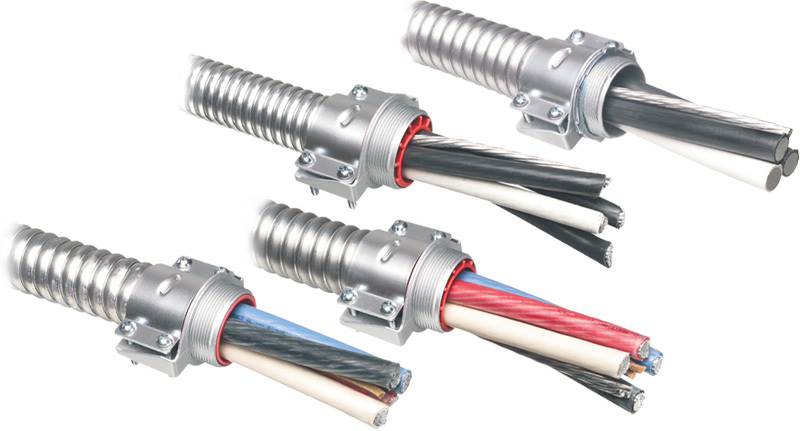 Each fitting has a built-in end stop, but also comes with additional end stop bushings that accommodate different size cable bundles. ONE trade size fits several cable sizes! If required, using an end stop bushing is fast and easy. There's no need to remove the strap. 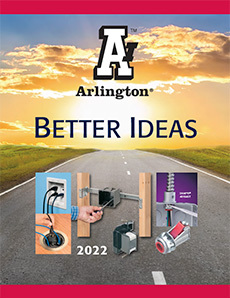 Just loosen the screws and insert the bushing that works best with the cables you're installing in dry locations.